Donna Eden is among the world’s most sought, most joyous, and most authoritative spokespersons for Energy Medicine. Her abilities as a healer are legendary. She is able to accurately determine the energetic causes of physical and psychological problems and to devise highly effective interventions. Since childhood, she has been able to see the flow of the body’s energies, and from this clairvoyant ability, she has developed a system for teaching others, who do not have this gift, to enhance their health and vitality by working with their energies. Tens of thousands of people from all over the world have learned how to reclaim their natural healing capabilities in her classes and workshops. Her best-selling book, Energy Medicine, co-authored with her husband, David Feinstein, Ph.D., is the classic in its field. Translated into 15 languages, it won the U.S. Book News Book of the Year award in their self-help category. Its sequel, Energy Medicine for Women, was the U.S. Book News 2008 Book of the Year in the women’s health category. 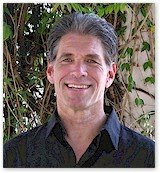 According to Caroline Myss: “The contribution Donna Eden has made with Energy Medicine will stand as one of the backbone studies as we lay a sound foundation for the field of holistic medicine.” http://www.learnenergymedicine.com/.